Wrenn, C. L. (2013). 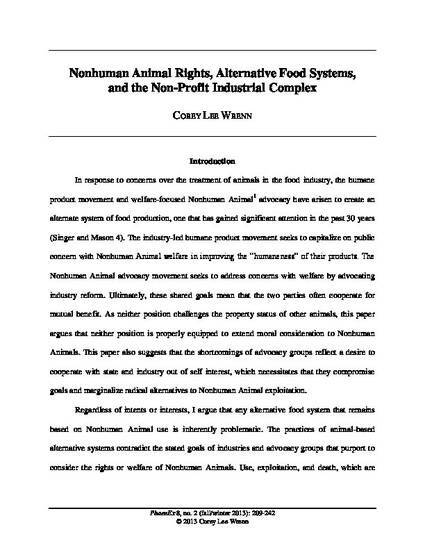 Nonhuman Animal rights, alternative food systems, and the non-profit industrial complex. PhaenEx, 8(2), 209-242.